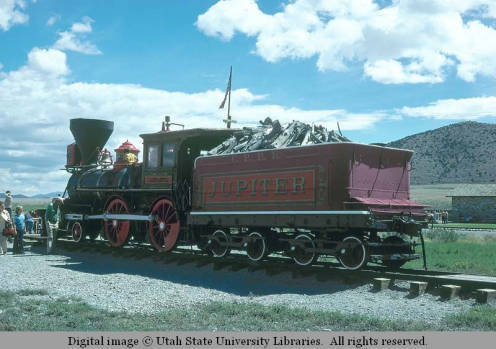 On May 10, 1869 the Central Pacific’s Jupiter and Union Pacific’s No. 119 locomotive trains triumphantly met in Promontory Point, Utah. Railroad officials hammered the final spike—a 17.6 karat gold spike—into the track. Photographers snapped an official picture of the sensational moment and newspapers across the country reported that, finally, the dream of a great American transcontinental railroad had been realized. 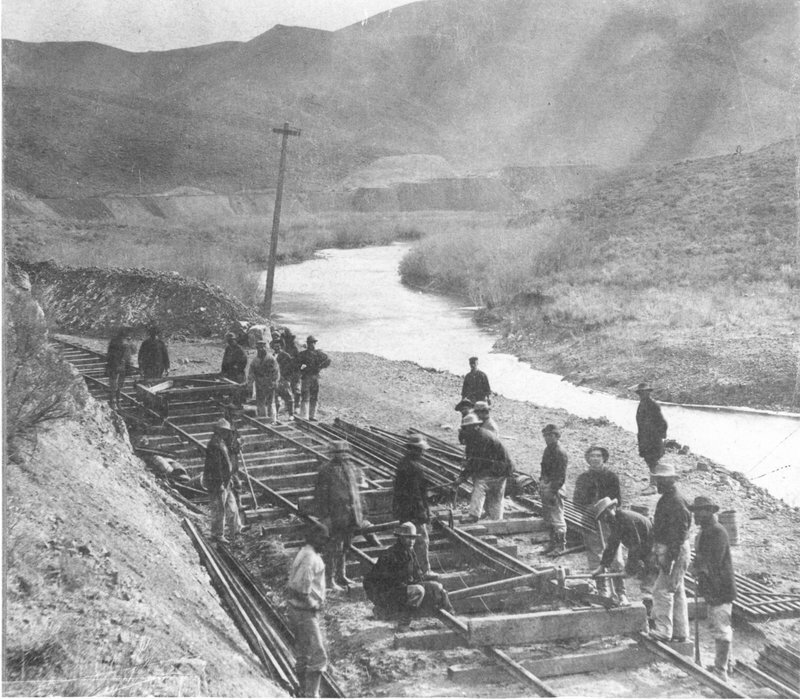 Unrepresented in the famous photographs, however, are the Chinese laborers who toiled to complete the railroad throughout the American West. 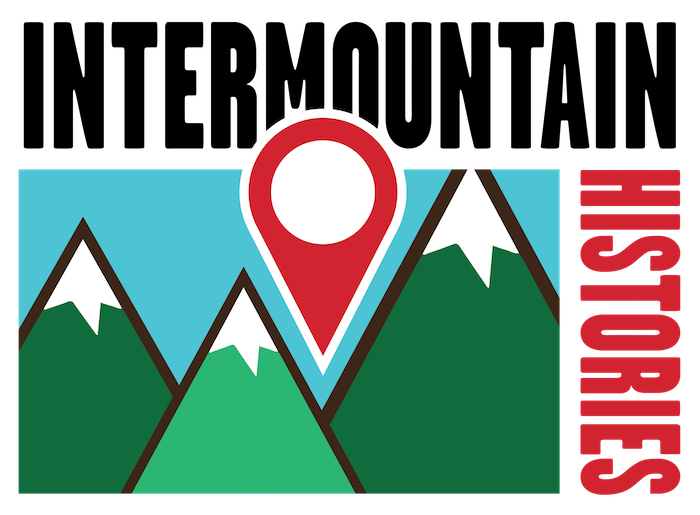 Today, sightseers can visit the Golden Spike National Historic Site and see the exact point where the Central Pacific and Union Pacific railroad companies converged. Two jauntily painted trains both replicate and celebrate this important moment in America’s western history. 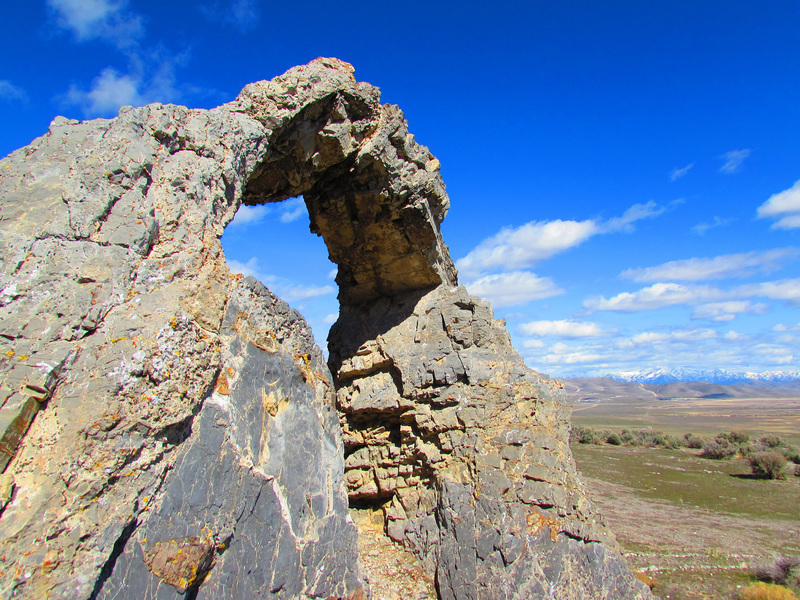 However, to the east of the site is a small, yet unique formation of rocks—a green-tinted rock arch. A plaque next to the rocks identifies it as the “Chinese Arch.” First called “Chinamen’s Arch” by 19th century railroad passengers who simultaneously saw the arch and Chinese railroad worker camps as they rounded a bend in the tracks, today the arch pays homage to the thousands of Chinese workers who helped build the railroad. Building the railroad was a grueling and nearly impossible task. The Central Pacific railroad company, in particular, struggled finding a reliable labor force willing to challenge the formidable Sierra Nevada. Desperate, railroad executive Charles Crocker turned to Chinese immigrants as an experiment. Doubtful at first of the ability of the Chinese to perform such backbreaking labor, Crocker was soon impressed with his new workers’ diligence and he began hiring the Chinese in earnest. At first recruited from California and then as demand increased, from China, soon 4 out of every 5 hired railroad workers were Chinese. 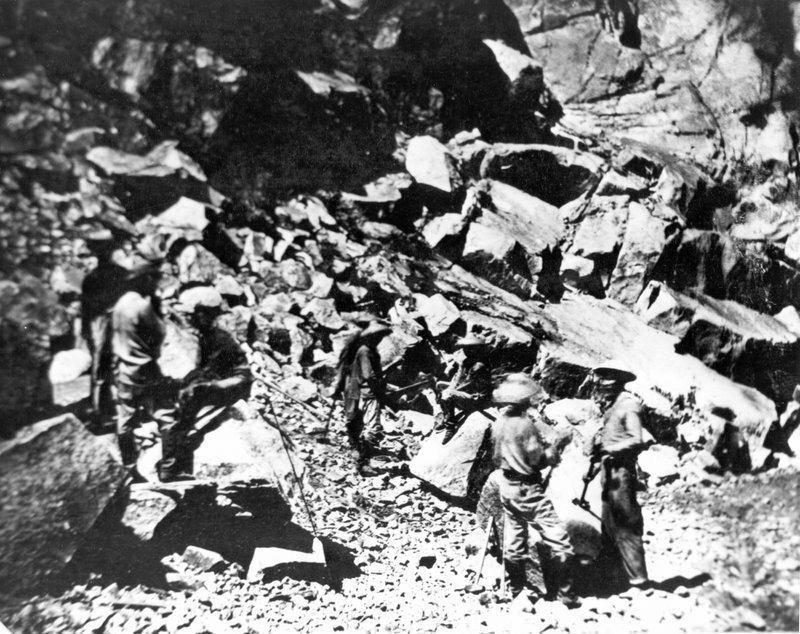 Paid at a lower rate than their white counterparts and often facing racial discrimination, the Chinese workforce courageously blasted, shoveled, drilled, picked, and hammered their way through the Sierra Nevada and Great Basin regions. Largely in charge of leveling the earth into the correct grading for the tracklayers, the Chinese were also given the more dangerous tasks, such as dynamiting. Hanging precariously from ropes, the workers would set the dynamite in the rockface and then get pulled to safety by their coworkers. Faulty dynamite explosions, avalanches, and sicknesses claimed the lives of many, although the exact number is unknown. While the Chinese contribution to the transcontinental railroad has historically been overlooked, the “Chinese Arch” reminds us of the once-invisible workforce that made the railroad possible. 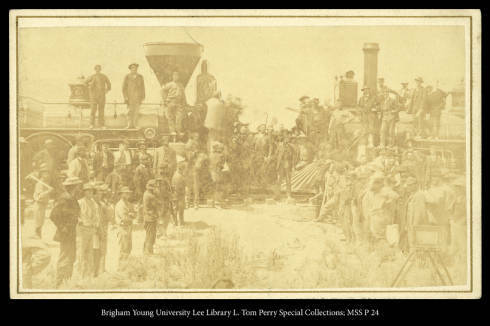 It was only through their efforts that allowed the lagging Central Pacific to meet with the Union Pacific in Promontory Point, Utah and their overall impact on the building of the great transcontinental railroad is immeasurable. 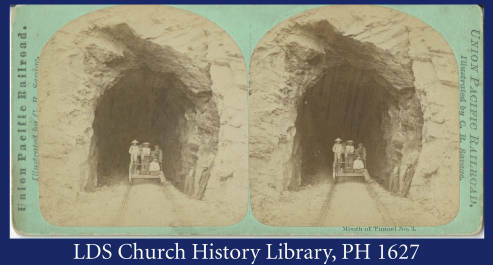 Dani Carmack, Brigham Young University, “Golden Spike National Historic Site and the Chinese Arch,” Intermountain Histories, accessed April 19, 2019, https://www.intermountainhistories.org/items/show/123. Alexander Saxton, “The Army of Canton in the High Sierra,” Pacific Historical Review 35, no. 2 (May 1966): 141-52. Dirlif, Arif, and Yeung Malcolm. Chinese on the American Frontier. Lanham, MD: Rowman & Littlefield, 2001. Williams, John Hoyt. A Great & Shining Road: The Epic Story of the Transcontinental Railroad. New York: New York Times Books, 1988.